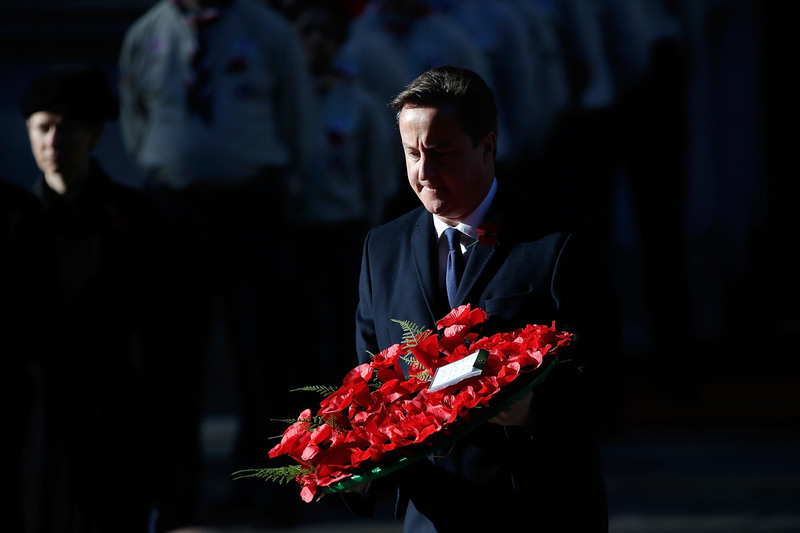 Has America forgotten to remember Remembrance Day? Saturday night I had my friend Melinda over, along with her friend Jenny, in town from Sydney. Jenny noticed the portrait of Her Majesty, a commemorative token of the Diamond Jubilee, hanging in my apartment, complete with the flags of the Commonwealth countries. 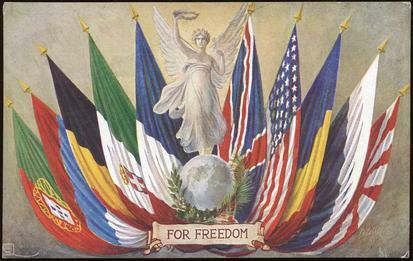 We got to talking about the ties that bind not just the Commonwealth, but the Anglosphere-our common language, common law, and common struggle against fascism in the 20th century. At one point, talking about Remembrance Sunday, Jenny asked that she be reminded to set an alarm so that she could observe a minute of silence for the ANZAC forces. It passed without a beat, but it left me something to mull, and raised Jenny very highly in my own estimation. 11 November is commemorated around the globe as a day of remembrance and reflection, of honoring the sacrifices of those who fought and fight for the freedom of humanity. It’s the official end of the First World War, which was thought and hoped to be “the war to end all wars.” History tells us it was, sadly, but the precursor to Europe’s darkest days and Britain’s finest hour. I’m always touched by the sombre, dignified memorials throughout the UK and Commonwealth, the tens of thousands of people who turn out at war memorials around Britain, regular folks who every year remind the world of the struggles for freedom, lest we forget. uniform and thank her for her service or to buy a drink for the soldier at the bar. We sing the national anthem before every sporting event, pledge allegiance to the flag before the start of every school day, and unlike when the typical Brit sings “God Save the Queen,” when an American says “God bless America,” we mean it quite literally. So you’d think we’d have a more collective tradition of honouring our veterans. 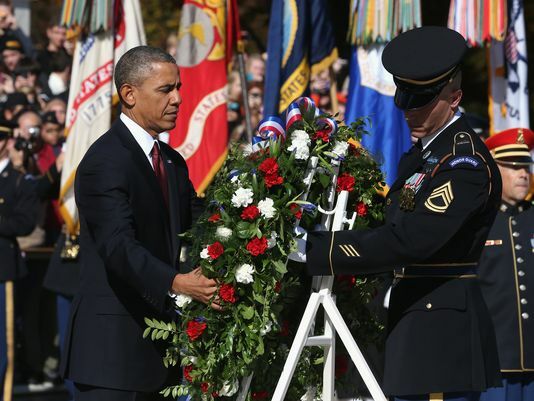 Sure, the President routinely lays a wreath at Arlington National Cemetery. But if you Google “Veterans’ Day Commemorations in Chicago,” you don’t turn up much of anything. Some museum exhibitions, a brunch at a zoo, but nothing on par with the solemn pomp in Britain. You’ll see no crowds at war memorials, you’ll hear few bells tolling at the 11th hour, and for the most part, people go on about their lives with little to no regard for what happened 95 years ago today. That we don’t really remember may explain why a nation so willingly swaddled in its own flag doesn’t make more of an effort. It could be that America didn’t experience the horrors of having its own cities obliterated. Maybe it’s not the physical scars at all, but the psychological scars of a nation that was quite literally fighting for its very survival that keeps the horrors fresh in the British consciousness. Or perhaps it’s simply that the scars of the World Wars have healed over, but that the memories of Vietnam and Iraq are still open wounds. perhaps that manifests itself most poignantly on this day. In so many ways, this is more fitting for the US. The poignancy of the British commemorations is that a nation so often shy of indulging in its own nationalism, for one day of the year, recognizes the valor of its soldiers and the sacrifices they made. As America shamelessly exploits its military to stoke patriotic fervor, what makes the British commemorations so powerful would make American commemorations feel trite, redundant, or disingenuous. Besides, it’s not Remembrance Day here. It’s Veterans Day. The name itself invokes a sense of the soldier in the singular as opposed to a collective struggle. America, though fond of jingoistic displays, on this day takes a more reserved approach. We don’t remember as a group, but as individuals, paying modest tribute to our own loved ones. We don’t thank them all. But all of us thank them. This entry was posted in Commentary, Holidays and National Days, Transatlantic comparison and tagged air force, america, arlingtion national cemetery, army, britain, cenotaph, david cameron, jingoism, marines, memorial day, military, navy, obama, patriotism, remembrance day, remembrance sunday, soldiers, tomb of the unknown soldier, united kingdom, united states, veterans day, world war i, world war ii, world war one, world war two on November 11, 2013 by skylarjordan.